Putting on display the right jewelry can attract a passerby attention but setting it on the perfect jewelry display set can be the key to entice that person to buy it. 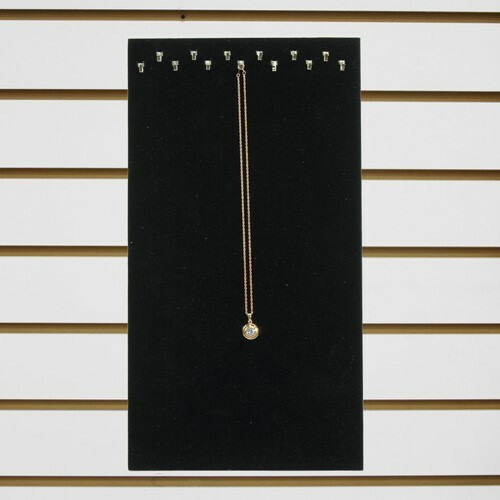 Jewelry set collections is the display you may usually see on all the other jewelry shop. But displaying the same thing doesn’t mean your shop have to look like all your other competitors, you can be different by putting up a unique collection set that still suits your jewelry shop. 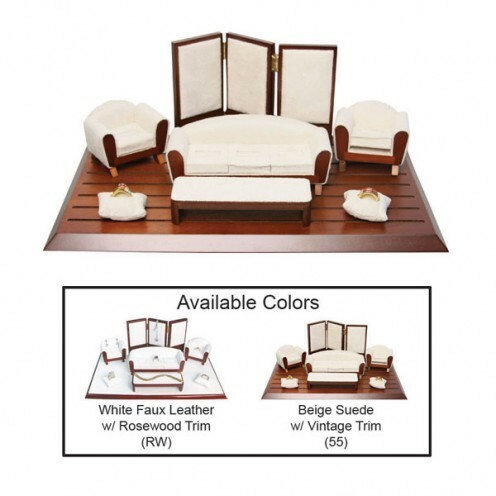 This jewelry collection display set looks similar to a miniature living room couches with a coffee table. You can display 5 rings, 2 earrings, 1 bracelet and 1 necklace. With its unique style, you can place some classic-style jewelry. It goes well with gold and rose-gold jewelries. Such unique designs are offered by few jewelry supplies shops like NileCorp.com. 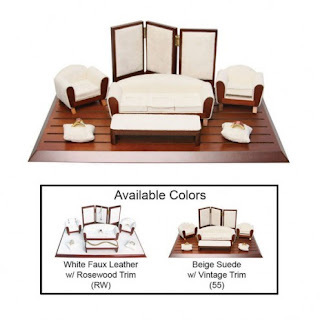 If you’re more into a minimalist type, you can display your jewelries into a monochromatic display set that can hold 18 pieces such as this Faux Leather Display Set. It has 2 utility trays, 7 ring trays, 3 bust trays, 2 slot trays for bracelets, 2 earring trays and 2 bracelet trays. It’s the best way to save space on your shop and still display a vast of jewelries. Another way to display varieties of jewelries is to place them on risers and platforms. What’s the difference between the two? Risers are best to use for displaying earrings and rings. 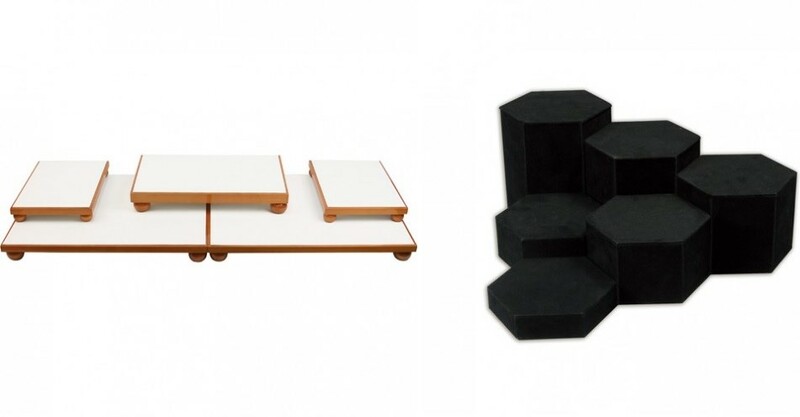 They give off a minimalistic vibe with its designs and often come in different shapes like cube and hexagon. Platforms, on the other hand, are best to display necklaces and bracelets. They don’t take up much space as well so you can both place them near each other. 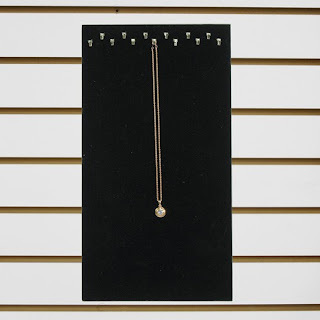 Slatwall Chain Pads are best to display several necklaces and save space as well. It can display 7 up to 13 necklaces. You can easily place them anywhere that can easily be seen by your customers.